Holly's having a girl so naturally the shower details were all pink (paired with chocolate brown), all the caregroup ladies have been wanting a tea party for so long that this seemed like the perfect excuse to bring out the teacups! 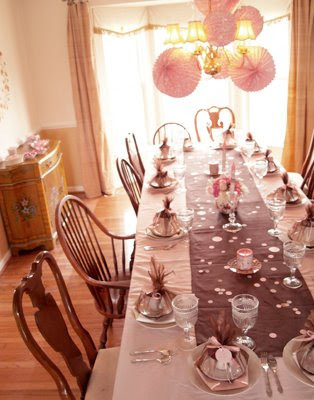 We dressed up the dining room with streamers and hung these cute pink lanterns from the chandelier. 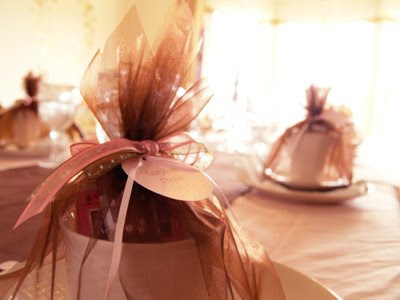 Each lady got to take home a white teacup with a few nice teabags and a bit of chocolate wrapped up in brown organza and finished up with ribbon. We used these at the place settings so they doubled as place cards! cucumber, chicken, and gluten-free varieties of tea sandwiches. There were all kinds of Tea as well as scones, tea cookies, fruit, and pink lemonade! 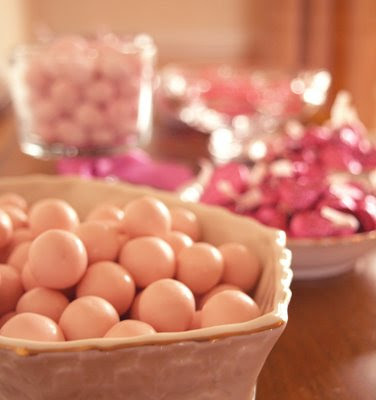 Pink candies were festively displayed in small dishes, some tied with ribbon to create a mini candy-bar and floral arrangements placed in teapots graced the table. 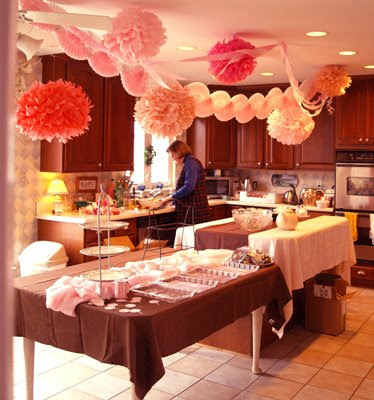 I so enjoyed doing a little decor for this girl get-together.